Maxitrak was founded in the summer of 1978, and in those early days we were armed with little more than enthusiasm and vision and only one single loco. 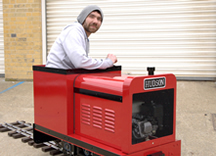 Today we offer what surely must be the widest range of miniature road and rail locomotives available from one single company. 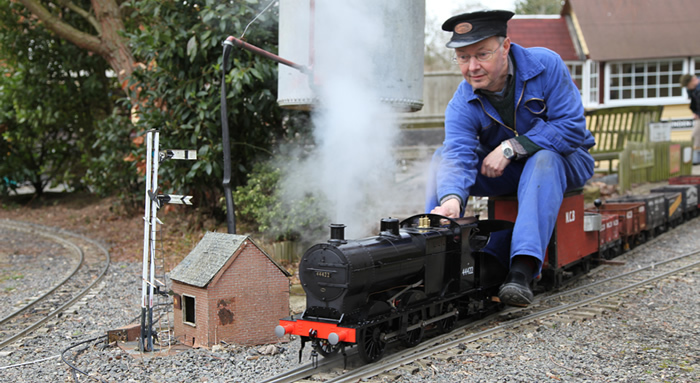 For the rail enthusiast we offer an ever-increasing range of Steam locomotives in the UK and European gauges of 5" or 7 1/4" (or US 4 3/4" and 7 1/2"); also Diesel engines that are battery electric or petrol/hydraulic powered, which are in the same gauges as Steam locomotives. For Road vehicle enthusiasts, there are two large Traction Engines and a Steam Lorry. These are complemented by a series of three 1" scale Burrell Traction Engines and fully radio controlled Atkinson and Super Sentinel Steam Wagons. The Maxitrak 3" scale Aveling & Porter Tractor or Lorry can haul its driver and several passengers with ease. Our range of precision 1" scale engines are proving very popular. These are ideal for display, but having the added interest to be a fully operational steam powered model capable of pulling one adult. All of the extensive Maxitrak range of Road & Railway Locomotives can be supplied as Ready to Run models or Fully Machined Kits; either painted or unpainted. The complete Maxitrak range is always on view in our Staplehurst, Kent showroom. Finished models or kits can also be collected from the factory, or we can send to any address in the UK or world-wide. Throughout these years of continuous operation we have established within the model-engineering world a reputation for innovation reliability and excellence. 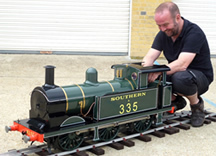 We aim to match the requirements of Locomotive builders who have the necessary skills, but little time; or those new to the hobby who have the interest, but little knowledge or experience. All customers have the opportunity to join the Maxitrak Owners’ Club. These are a group of enthusiastic and knowledgeable Maxitrak locomotive owners who have joined together to share a common interest. A quarterly newsletter and annual rally are arranged by the club to which all owners are encouraged to contribute and participate in. Every new Maxitrak Locomotive owner enjoys complementary membership for the first year.